The 22nd Annual Gathering is the Worlds Largest Fish Decoy Show! We have carvers and vendors coming from all across the nation. You will find the highest level of talent and skill at our show making it a must see for the decoy Collector and spearing enthusiast alike! 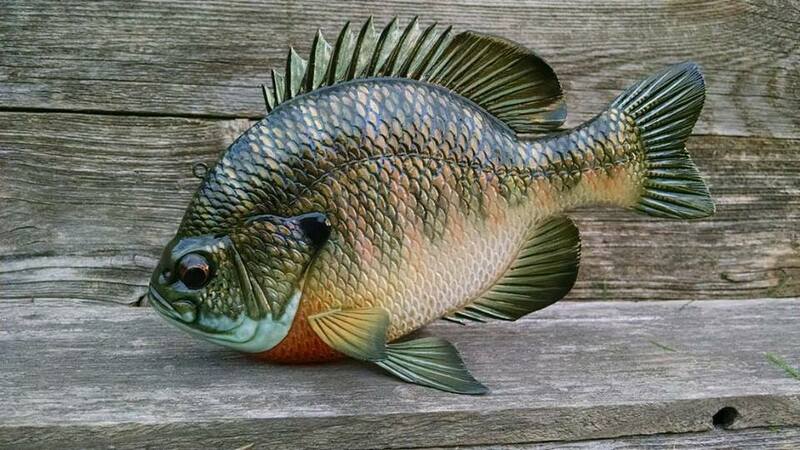 We also have the Largest fish decoy competition in the World, where the worlds top carvers are competing for big prize money as well as the coveted North American World Cup Of Fish Decoys and the Best of show Awards! With multiple categories and disciplines on display you definitely don't want to miss it. Another fun activity is to come to our banquet, this is where the competition winners are announced! With Door prizes, a great catered meal and a full bar, this is a great place to get to meet carvers and to really get the full show experience! So mark your calendars and don't miss the 2019 Gathering, April 13-14 at the Perham Area Community Center!